Discussion in 'Gameplay Discussions' started by Piou, Dec 15, 2017. Wow that Cbt2 was fast or is it more of an extension of Cbt1 ? Realistically speaking, there's such little time inbetween the two CBT phases, I don't think they'll manage to "fix" a lot before the second test begins, so I guess you could theoretically see it as some kind of extension as well. This test will showcase a different server concept, we will have an explanation via announcement next week going over the highlights and a feedback collection thread to get everyone's input on it as well. I am not going to share the details atm, but I think everyone will want to check this out. Mata, LudwineDeCruel and loser like this. Thanks for keeping us informed. Let's strive to create a good community with support and constructive criticism. 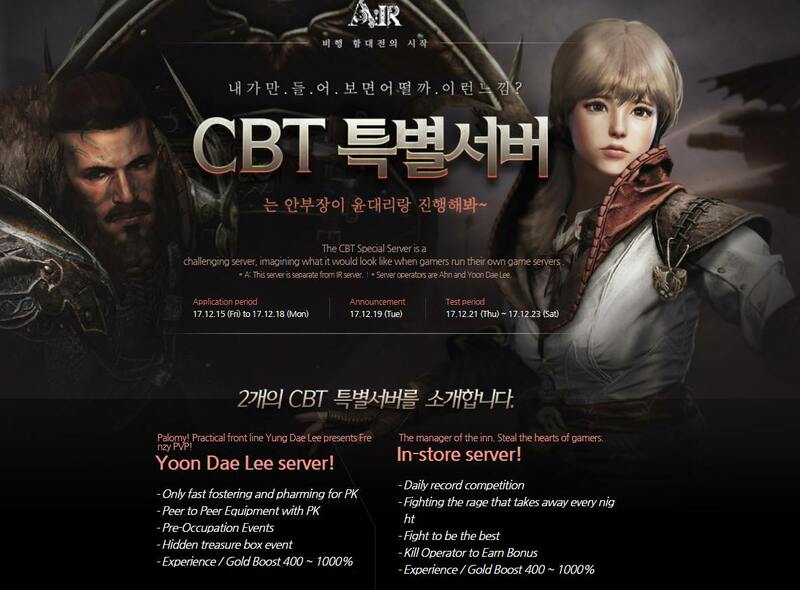 I haven't been keeping up with the KR release as I wanted to be surprised, so I haven't delved into signing up - but is there any details of what is needed for a CBT account?